Rev. 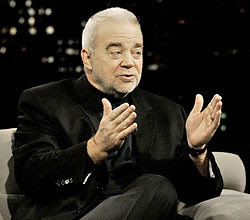 Jim Wallis, a member of President Obama's "faith council" who is described as a spiritual adviser to the president, is a socialist activist who has championed communist causes and previously labeled the U.S. "the great captor and destroyer of human life." Wallis was in the news last week urging Christians to stop watching Fox News host Glenn Beck's program for Beck's remarks against churches that preach "social justice." The Associated Baptist Press described Wallis as a "politically progressive evangelical and longtime advocate for the poor." The Huffington Post identified Wallis as a "Christian author and social justice advocate." He currently serves on Obama's White House Advisory Council on Faith-based and Neighborhood Partnerships. He reportedly is a spiritual adviser to Obama and has known the president for years.